When I swung down to Peru and Ecuador to visit my college roommate, a current Peace Corps volunteer, I expected to rough it in her home base of Pampas, Peru, huff and puff my way around Machu Picchu (that altitude’s a killer), and frolic on some mitad del mundo beaches. I did all that, sure, but I also…saw a lot of hats? 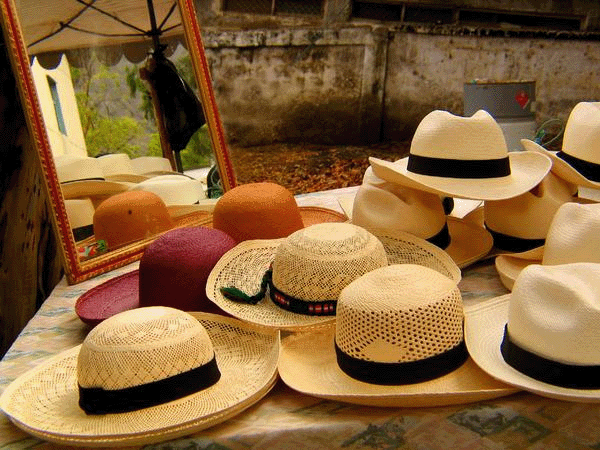 Turns out, the famed Panama hat is actually an Ecuadorian original. Invented in Ecuador in the 16th century, the straw topper earned its Central American misnomer when it debuted at the 1855 Paris World Fair. Panama was the last port of call stamped on the shipment, and the nickname stuck. I’d be miffed if I were Ecuador, but that didn’t seem to keep anyone from sporting their best caps. 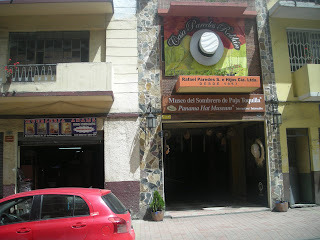 Check out my favorites, plus a few shots of the Museo del Sombrero de Paja Toquilla, or the Panama Hat Museum, in Cuenca. 1. 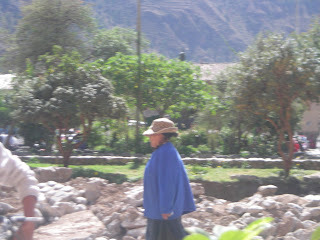 A common style in the Andes, I spotted this cap in the Sacred Valley town of Ollantaytambo, Peru. 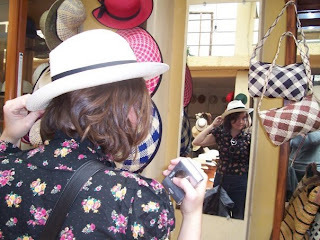 It could be a perfect travel hat: shades the sun in front but leaves for a ponytail in back. 2. 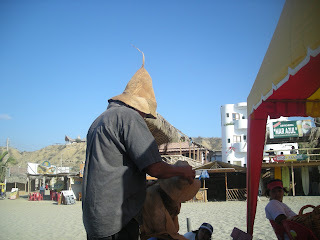 This beachside vendor in Mancora, Peru got at least one group of Australians at our hostel to buy his wizard-y caps. I’d keep this look to the coast (though the brim would ease beachside reading). 3. When Spanish conquistadors spotted Ecuadorians in straw hats that covered their ears and necks, the Spaniards dubbed the caps toquillas, because the style reminded them of European nuns’ headressesÃ¢ or tocas. 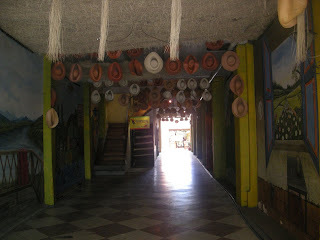 Thus, the other misnomer for the Panama Hat: Sombrero de Paja Toquilla. 4. The musuem opens up with a brief history of the hat. Of course, the walls display some of the store’s top designs. 5. In classic theme park style, the museum leads to a gift shop. 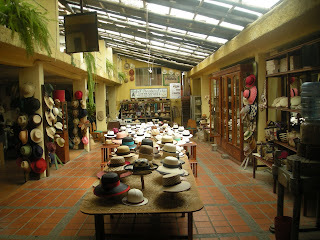 Or in this case, the Casa Paredes Roldan, a Cuencan hat shop that has been crafting designs since 1946. 6. A playground for hat-lovers, the shop stocks everything from Pablo Neruda-style straw messenger caps to more extravagant Sunday-at-the-races styles. The classic fedora, popularized by 1940s gangsters Ã¢was easily the most common hat in town. Bonus: The style’s made a comeback and costs about double at Urban Outfitters. I want to have a "Mad Hatter" wedding. When/If I get married. Nice post.